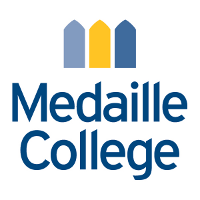 Medaille College seeks applications for a Grants and Development Director, focusing primarily on foundation support and state and municipal funding. The Grants and Development Director will report to the Vice President for College Relations and work with faculty and staff to coordinate funding need analysis, research and identify grant opportunities, provide guidance on grant-seeking and proposal development, liaise with funders, maintain information for grants, coordinate grant preparation, write and facilitate submissions of proposals, assist in grant administration, and coordinate grant reporting. This position requires a Bachelor's degree in Communications, English, professional writing or a similar major with five years of experience in grant writing and research. Outstanding grammar and research skills are essential. Background in higher education is helpful.